We are On the Way to Bethlehem. We are part of the nearly 600 dedicated volunteers who give of their time, talents and energy to produce a nativity pageant—our gift to the community and to the Glory of God. 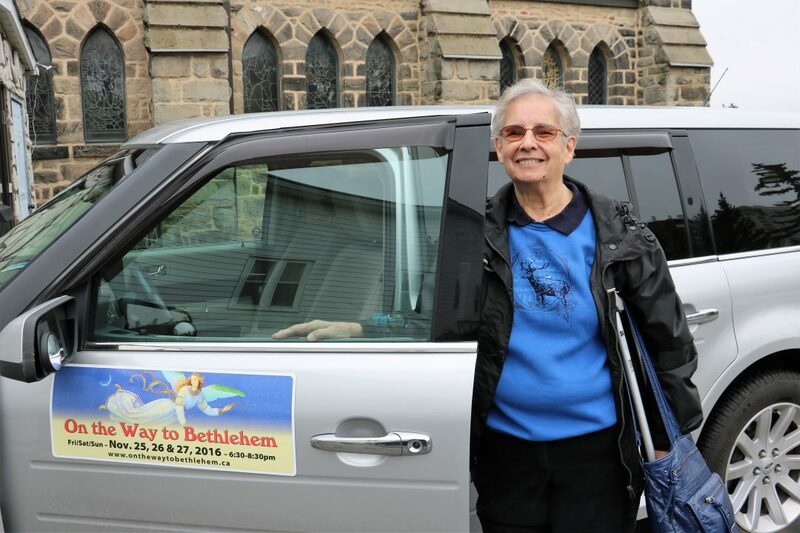 On the Way to Bethlehem is now in its 15th year. We work, each in our chosen aspects, to make this three evening outdoor performance possible—advertising, costuming, casting, guides, tractor drivers, refreshments, massed choir, reception, graphic design, coordinators, fund-raising, sponsors, school choirs, sets, lighting crew and director. Grace Church Milton has supported the pageant since day one. Many parishioners are the key to its success. Some have been involved for all 15 years. There are Grace members in almost all of the 22 scenes—though not always immediately recognized in Biblical costuming. There are nearly 200 cast members over the three nights. For some it is a total family experience. Many Grace members support and organize our fund-raising ventures, namely catering to the Hall of Fame presentations for the Agriculturalists of the Year awards and a Bowl-a-thon. These make it possible to have many wonderful animals as part of the pageant—an expense of over $4,000. Both events are supported as well by members of the parent charity, “Milton and Area Christian Churches Working Together”. The Nativity Pageant is the major project of MACCWT. In addition, several Grace members are sponsors of the Children’s Colouring Book, produced as a gift to all children who attend the pageant. On the Way to Bethlehem is a live, walk-through, outdoor pageant making use of the natural rural setting at Country Heritage Park, Milton. Regardless of the weather, the pageant proceeds. The journey to Bethlehem leads us to a century old log barn, with a real baby, live animals and a few moments of serenity upon which to reflect. Walk with us to Bethlehem on Friday, Saturday or Sunday evening, November 25, 26 and 27, 6:30 p.m. – 8:30 p.m.
Come early and enjoy the music of the massed choir.